On this day in history, February 11, 1781, Lieutenant Colonel John Laurens sets sail for France aboard the USS Alliance. Laurens' mission was to secure a last loan and supplies from France in order to bring the American Revolution to an end. 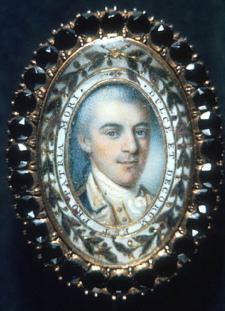 John Laurens was a son of wealthy rice planter and President of the Continental Congress, Henry Laurens. 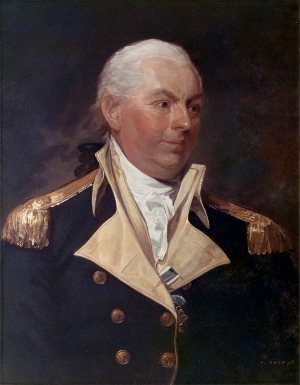 The younger Laurens became an aide to George Washington and served with distinction in the Battles of Brandywine, Germantown, Monmouth and Savannah. He was responsible for pushing Congress to create an all black regiment of 3,000 soldiers who were to be given their freedom for serving. Laurens was placed as commander of the regiment, but it never got off the ground because of resistance from the South Carolina legislature. Laurens left Boston on February 11, 1781, on board the USS Alliance, the fastest ship in the US naval fleet, commanded by Captain John Barry, America's first commissioned naval officer. Laurens was accompanied by Thomas Paine as his secretary and Louis Marie, Vicomte de Noailles, a cousin of the Marquis de Lafayette who served as one of Lafayette's chief officers. The Alliance captured a British cruiser in route to France and arrived in L'Orient on March 9. Laurens and Paine met with Benjamin Franklin, the US Ambassador to Paris, who arranged meetings with the French Foreign Minister, the Comte de Vergennes and King Louis XVI. Laurens was able to successfully persuade the King into giving the US a further grant of six million livres, supplies, clothing and guarantees of further naval support. On the return voyage, Captain Barry put down a mutiny among the sailors and captured 4 British ships before the Alliance was struck by lightning that shattered its main mast. After several days of repairs, she set off again, only to encounter 2 British warships, the HMS Atalanta and the HMS Trepassey. In the ensuing battle, Captain Barry was shot in the shoulder and lost so much blood he nearly passed out, but he was able to inflict enough damage on the two ships that they were forced to surrender. After arriving back in Boston on June 6, Laurens delivered his good news to Congress. The French money, arms and clothes he procured equipped Washington to move his army south to confront Cornwallis at Yorktown. The fleet of French Admiral François Joseph Paul, the Comte de Grasse, would arrive and prevent reinforcements from coming to Cornwallis' aid. Unfortunately, John Laurens would be killed in a minor skirmish called the Battle of the Combahee River while he operated an American spy network near Beaufort, South Carolina, in August of 1782, only a few months before the British evacuated the south forever.